There must be renewed recognition that societies are kept stable and healthy by reform, not by thought police; this means there must be free play for so-called subversive ideas - every idea subverts the old to make way for the new. To shut off subversion is to shut off peaceful progress and to invite revolution and war. 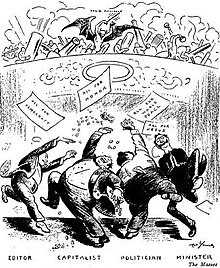 What the world (and particularly the White House) needs to remember is that aggression is unleashed and escalated when one party to a dispute decides for itself who is guilty and how he is to be punished. There’s a lot of things those journalists know, that I don’t know, but a lot of it is wrong. Isador Feinstein Stone (December 24, 1907 – June 18, 1989), better known as I. F. Stone, was a politically progressive American investigative journalist, writer, and author. He is best remembered for I. F. Stone's Weekly (1953–71), a newsletter ranked 16th among the top hundred works of journalism in the U.S., in the 20th century, by the New York University journalism department, in 1999; and second place among print journalism publications. Every time we are confronted with a new revolution we take to the opium pipes of our own propaganda. I sought in political reporting what Galsworthy in another context had called "the significant trifle" — the bit of dialogue, the overlooked fact, the buried observation which illuminated the realities of the situation. The fault I find with most American newspapers is not the absence of dissent. it is the absence of news. With a dozen or so honorable exceptions, most American newspapers carry very little news. Their main concern is advertising. A certain moral imbecility marks all ethnocentric movements. All governments lie, but disaster lies in wait for countries whose officials smoke the same hashish they give out. Lifelong dissent has more than acclimated me cheerfully to defeat. It has made me suspicious of victory. I feel uneasy at the very idea of a Movement. I see every insight degenerating into a dogma, and fresh thoughts freezing into lifeless party line. To be able to spit in their eye and do what you think is right and report the news and have enough readers to make some impact is such a pleasure that you forget, you forget what you are writing about. It becomes, you know, it like, you are like a journalistic Nero fiddling while Rome burns and having a hell of a good time or like a small boy covering a hell of a big fire. It's just wonderful and exciting. You are a cub reporter and God has given you big fire to cover. And you forget, you forget it is really burning. The American government and the American press have kept the full truth about the Tonkin Bay incidents from the American public. Even in wartime, reprisals are supposed to be kept within narrow limits. Hackworth's Digest, the State Department's huge Talmud of international law, quotes an old War Department manual, Rules of Land Warfare, as authoritative on the subject. This says reprisals are never to be taken "merely for revenge" but "only as an unavoidable last resort" to "enforce the recognized rules of civilized warfare." Even then reprisals "should not be excessive or exceed the degree of violence committed by the enemy." These were the principles we applied at the Nuremberg trials. Morse revealed that U.S. warships were on patrol in Tonkin Bay nearby during the shelling of two islands off the North Vietnamese coast on Friday, July 31, by South Vietnamese vessels. Morse said our warships were within three to eleven miles of North Vietnamese territory, at the time, although North Vietnam claims a twelve-mile limit. *Morse declared that the U.S. "knew that the bombing was going to take place." 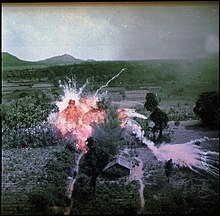 He noted that General Khanh had been demanding escalation of the war to the North and said that with this shelling of the islands it was escalated. Morse declared the attack was made "by South Vietnamese naval vessels -- not by junks but by armed vessels of the PT boat type" given to South Vietnam as part of U.S. military aid. Morse said it was not just another attempt to infiltrate agents but "a well thought-out military operation." Morse charged that the presence of our warships in the proximity "where they could have given protection, if it became necessary" was "bound to be looked upon by our enemies as an act of provocation." The press, which dropped an Iron Curtain weeks ago on the anti-war speeches of Morse and Gruening, ignored this one, too. One of the great reporters of the 20th century, I.F. Stone, told journalism students never to forget that "All governments lie." He could speak with authority, having spent seven decades exposing deception and official lies by digging deep into government documents and transcripts. He gained his greatest fame and impact publishing the newsletter called "I.F. Stone's Weekly," taking on McCarthyism, racism in the military, and the Vietnam War. "In this age of corporation men," he wrote in 1963, "I am an independent capitalist, the owner of my own enterprise." This critically acclaimed documentary, produced in1973, offered an inside look at how Izzy Stone worked. Stone was... a lover of freedom. A part of him always rebelled against the culture of mendacity he helped to foster in his own corner of the American left... “All governments lie,” Stone’s maxim, ought to be plastered across every journalist’s desk. But the lesson Stone can offer us today is, I would say, mostly a reminder that we will have to rise to our own occasion, and not expect heroes from the past to guide our faltering steps. I.F. “Izzy” Stone was a wonderfully intelligent, hard-working, and highly respected American journalist who wasn’t afraid to speak truth to power. He’d been blacklisted during the McCarthy witch hunts and couldn’t get a job with a mainstream paper, so he started his own independent weekly. Stone was not invited to White House press conferences, but didn’t mind. He famously said, “There’s a lot of things those journalists know, that I don’t know, but a lot of it is wrong.” Stone read the voluminous Congressional Record cover to cover, finding news stories in unlikely places. Stone was highly respected and had good sources inside government. In 1964 I. F. Stone was the first American journalist to challenge the account provided by President Lyndon B. Johnson of the Gulf of Tonkin incident. Throughout the 1960s Stone exposed the futility of the Vietnam War. By the 1960s the I. F. Stone's Weekly had a circulation of 70,000. However, ill-health forced I. F. Stone to cease publication in 1971.